August set a record for an individual month as Chinese smartphone manufacturers continue to fall in love with MediaTek's chipset range. Some are turning to the company's deca-core CPU to power their phones. Industry watchers say that another record will be set in September as companies like Oppo continue to ply MediaTek with orders. MediaTek is also expanding its order book to include manufacturers like Asus (for the Asus ZenPad 3S 10). Microsoft's Xbox One S is also employing a MediaTek SoC inside. Hi, Alan F. You said: "Microsoft's Xbox One S is also employing a MediaTek SoC inside" I suggest you clairify that statement. MediaTek's SoC used in the Xbox One S is only for WI-FI and wireless connectivity. The powerhouse SoC is from AMD. http://www.fudzilla.com/news/games/41459-xbox-one-s-wi-fi-comes-from-mediatek I mean, if you do not clairify it, those who are ignorant could think that the MediaTek SoC employed in the Xbox One S is used as powerhouse (computation and graphics), which is kinda misleading... Just my two cents. I'm impressed with the performance of the lenovo k4 note which my colleague owns. 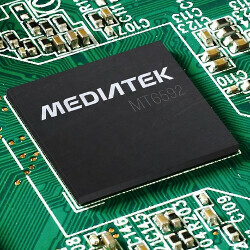 All mediatek needs to do is release their driver sources and optimise their kernel and drivers for better performance and battery management. I agree with your improvements they always use the crappiest GPU's. I've also noticed most mediatek devices don't bother using NFC. What gives? Off the top of my head I can only think of the Elephone p9000. Also no mediatek devices that I know of have OIS in there cameras. But those are both manufacturer faults.